The rods emerging from the panels are tipped with LEDs in red and green. The LEDs flash asynchronously. 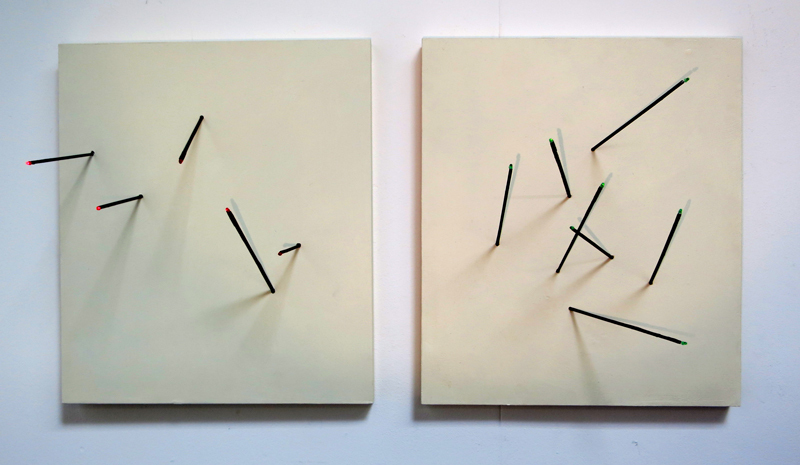 Augenblick: red/green (diptych), 2015, Rods, conductive paint and flashing LEDs on wooden panels, Each 390mm x 450mm x 20mm.